Designed by Aveline Gunawan, Indonesia. 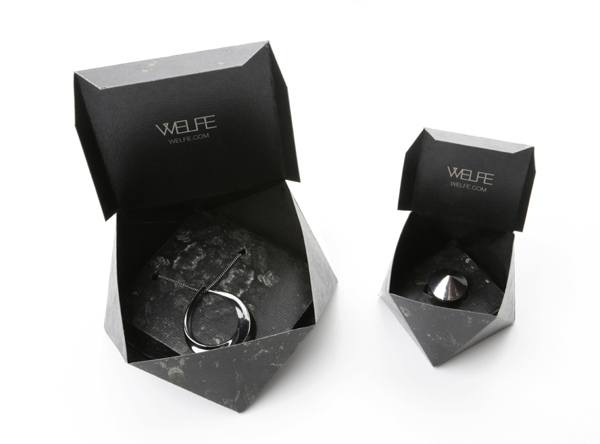 Welfe is a contemporary hand made jewelry design based in Melbourne. 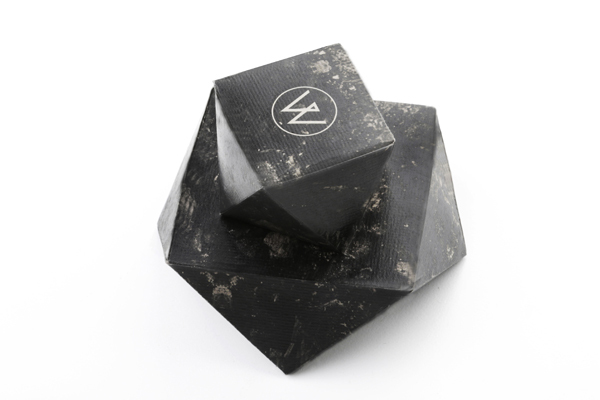 The texture of the packaging was inspired by the materials he used to make the jewelry and the form of the packaging resembles the shape of his jewelries. 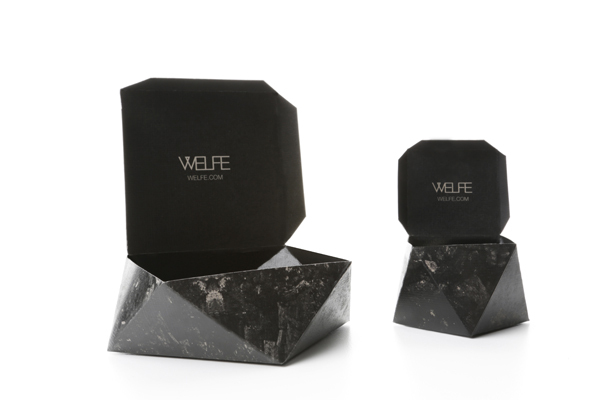 Since Welfe is a small business, the packaging is made easy to assemble and economical. The logo was given by Welfe and the jewelries in the photos are not from Welfe's collection. I love your box! It's simple, yet is has its uniqueness. I think it's the color that makes the box surprising, like what happened to me just 2 months ago.